Home >> Providers >> Susan Lee, M.D. 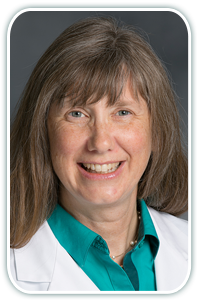 Dr. Susan Lee joined our practice in 2018 and is seeing patients at the Woodstock office. She is a Georgia native who grew up in Austell and attended Joseph T. Walker High School. She has a Bachelor of Science in Applied Biology from the Georgia Institute of Technology. Her medical training was completed at the Medical College of Georgia in Augusta, Ga. She then practiced Family Medicine in Idaho for eighteen years, having the privilege of caring for those of all ages. She was a staff physician at Idaho State University and Medical Director of a clinic and nursing home. She believes in listening to each person and providing education so they can make the best informed decisions about their health care. She enjoys helping people reach their goals for high blood pressure, high cholesterol, diabetes, healthy body weight, and women’s preventative care. Getting to know each person and what is important to them is part of what makes medicine interesting and fun. In her spare time she enjoys spending time with her family, the outdoors, swimming, racquet sports, cooking, and calligraphy.